Lane Cove Gymnastics Club was created in 2012 from a passion of gymnastics Fiona McMillan has had since she was 4 years old. Fiona has been involved in the sport for over 30 years starting off as a gymnast and then coaching all over the world before opening up the club she has always dreamt of. Fiona and her staff have poured years of work and experience into developing a recipe for the most enjoyable, educational, challenging and positive gymnastics programs. Our goal is to give each child the most enjoyable gymnastics experience possible. Lane Cove Gymnastics Club offers many gymsports from Kindergym to our impressive Competitive Teams. From beginners to advanced level. From babies to adults – we have a program for everyone!! Along the way Fiona has recruited many highly qualified and amazing coaches to join our team to light up our programs at LCGC. We pride ourselves on the high quality of coaching and we strive to make our programs unique and personalised to each child. We are delighted at how our club has grown from 70 enrolled members in 2012 to over 800 enrolled members in 2014 and over 1000 members in 2017, making us one of the largest clubs in our region while keeping our programs and club personalised. We are so excited to introduce you to the wonderful world of gymnastics! We are tumbling for joy because its your birthday!! 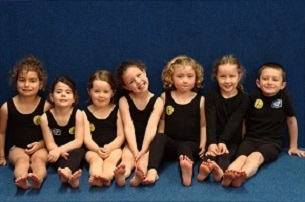 Book a gymnastics party at LCGC, It will definitively be one to remember!! Our fun and active gymnastics birthday parties are designed to give the birthday child and their guests the time of their lives, while giving the family a stress free, relaxing experience while they sit back and enjoy.